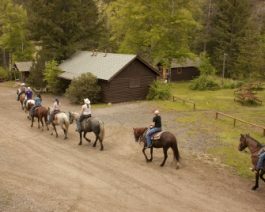 Absaroka Mountain Lodge is offering FREE Horseback Rides to Our Veterans! If You are currently serving or have served our great nation and able to ride. We will treat our Veterans to a 1 and 1/2 ride up Gunbarrel Canyon at no cost to them on July 4th, 5th & 6th. Space is limited, three rides available per day. Check our web site www.absarokamtlodge.com for times and rates. Non Veterans and family members welcome at set horseback riding rates.